Seasonal allergic rhinitis is an allergic reaction to seasonal environmental allergens such as dust, pollen, and dander. When you are exposed to these allergens, your body attacks them by producing excess amounts of histamine. The symptoms of allergic rhinitis may include an itchy nose and eyes, sneezing, a stuffy nose, a runny nose, mucus in the throat, postnasal drip, and asthma. Seasonal allergic rhinitis is also sometimes called hay fever, and it typically flares up in the spring and fall. 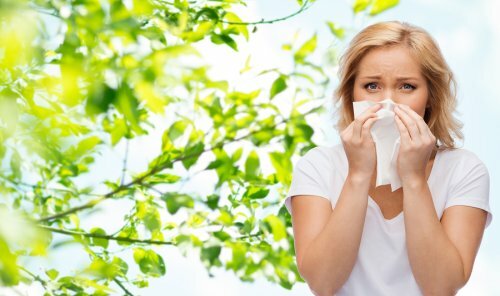 Most people who suffer from seasonal allergic rhinitis are allergic to pollen, grasses, weeds, and trees. An allergy doctor or allergist can identify the exact cause of your allergy symptoms by performing allergy skin testing. After allergy skin testing, your allergy specialist can recommend immunotherapy in the form of allergy shots, drops or tablets to slowly reduce or completely eliminate the symptoms of seasonal allergic rhinitis. If you suffer from seasonal allergic rhinitis near Philadelphia, come see our allergy doctors at Allergy & Asthma Specialists℠. Our allergy specialists can provide you with safe, effective allergy treatments that will improve your life and reduce your allergic rhinitis symptoms. Schedule an appointment at one of our 8 locations in Philadelphia, Blue Bell, Pottstown, Jenkintown, King of Prussia, Collegeville, Doylestown and Lansdale by calling 1-800-86COUGH, option 2.